By creating custom data fields you can easily group your resources by custom values such as location, department, skillset and more. There's also existing field types: text, number, date, user, link. We will use 'List of values' as it's the only one to create custom resource groups. It helps you to categorize your resources and add specific data to them. To have a quick overview, you can later filter resources by these criteria and even save it to a view. Use custom data fields to add information to your resources. If you add a data field to one resource, the field will appear in all of the resource dialogs. However, you have to add values to custom data fields to each resource individually. List type of custom data fields can be used for grouping resources. This will open the list with detailed information about resources. 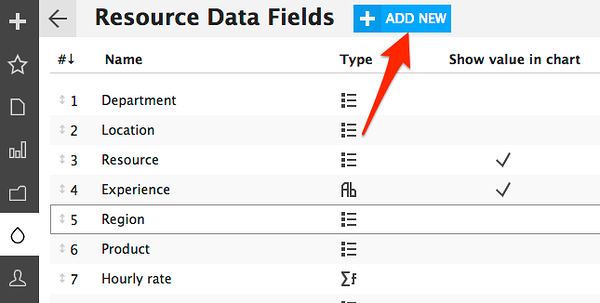 This will open existing data fields edit section and allows you to add new ones. Click '+ ADD NEW' to add a new Data Field. The selection depends on what data you want to insert. We'll use this as it's the only one for creating custom resource groups. 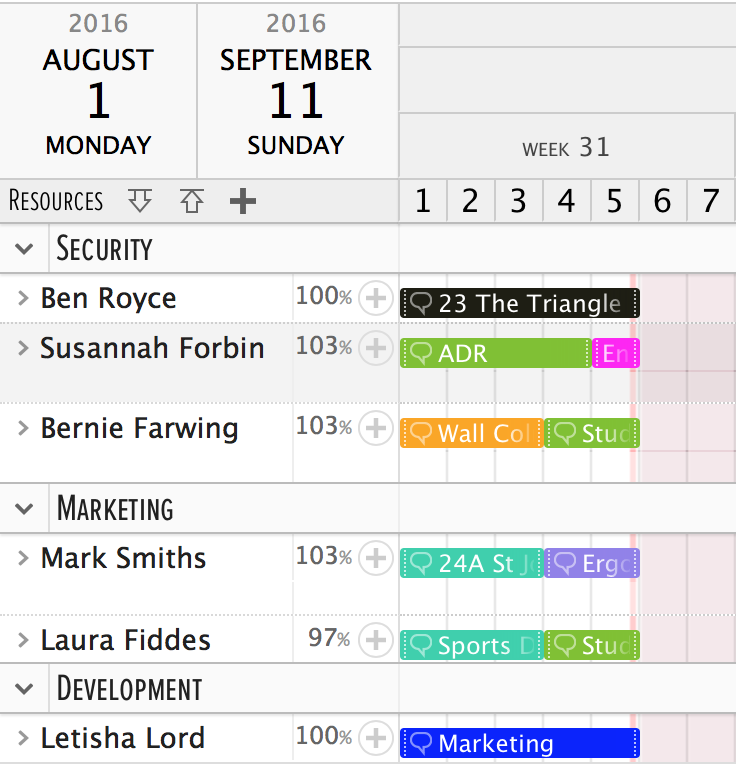 Resource groups are a great way to have a better overview of your resources by different parameters they have. For example, if you are taking on a new project and are wondering if your designers have enough free time, a custom data field with a skillset is what you need. That way you can add values to the list you can later choose from. You'll be back in the Data Fields edit section where you can see the new data field. Click on the back-arrow to return to the initial Resource dialog window. The type of data you can enter depends on the field type you have selected. The data you have entered applies only to the resource you added the data to. In this example, we are using 'List of values' but as you can see you can add 'Number' for salary or budget calculations in reports or 'User' to connect the user and a resource or 'Link' to add a photo or a file to the resource etc. Anything to make your resource plan more flexible. This will open the options for the view. 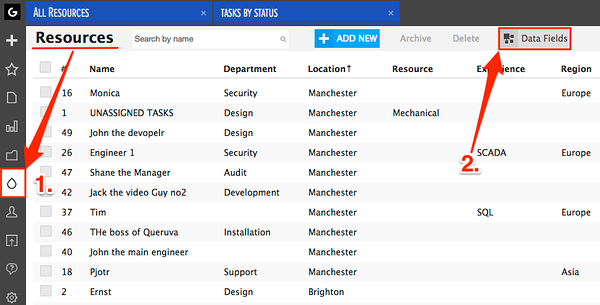 The groups are created using "List type" custom data fields and projects. You can save the grouping to the view or selected another grouping option the same way. Did not find the answer to your question regarding resources' custom data fields?